Malvern Capital Partners offers property management services providing the greatest operating efficiencies to ensure quality service to the residents while providing the greatest financial return on the asset to the owner. 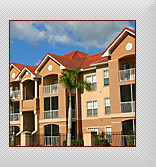 Malvern Capital Partners offers asset management services for owners and investors of multi-family properties by providing strategic guidance pertinent to the ownership responsibilities and development of an overall asset plan, including the appropriate timing of acquisition/disposition of assets, project financing, capital improvement analysis and real estate tax appeals. The asset management services provided by Malvern Capital Partners also include the independent oversight of the property, development, and construction management service providers. Malvern Capital Partners offers various consulting services for entities investing in the multi-family real estate market including due diligence services (buyers and sellers), financial underwriting, NOI audits, placement of debt and equity, and development services. The experience of Malvern Capital Partners will assure the clients’ needs are not only met, but exceeded, by gaining an understanding of the entire project to better execute the specific service.